Last week my "baby brother" turned 12! 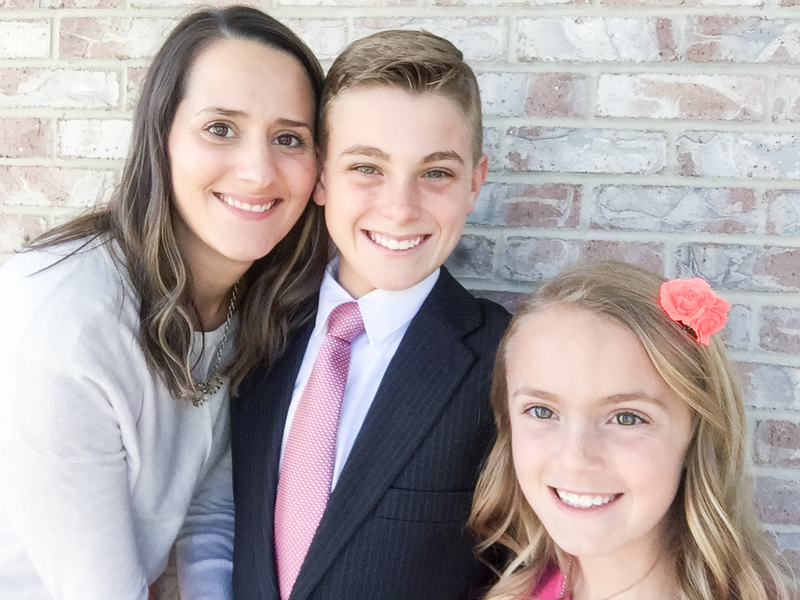 In the LDS church, boys turning 12 have the opportunity to be ordained into the Priesthood. He was excited and so cute about all our family being their to celebrate with him. Matt isn't officially my "baby brother" in more ways than one. He's technically the middle child and is one year away from being a teenager. But, he started kindergarten the year I graduated high school and I remember being so terrified for him to head off to school. It felt a lot like sending one of my own kids off to school when he hopped on the bus and I'm 99% sure my mom had to comfort me that day. He's growing up to be a really spectacular kid (always has been). My favorite thing about Matt is his infectious laugh and smile. He's sensitive about others and is tuned into others feelings. He's kind of the best! Happy birthday, my not-so-little brother! You top the charts in my book!